I’ve finally been able to achieve it (and testing with file restore also), hence I’ve decided to document here my configuration hoping it will be of some benefit for others. To be clear: this is a document to build a backup system “à la Time Machine” for your Mac based on Mavericks OS X 10.9.1 using a file share on Debian Linux and AFP protocol. It’s hard to configure the stuff, requires programming/scripting. Not true. 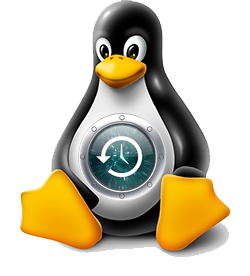 Sure, you need to modify some configuration files on your Linux box… but if you are not able to vi some files, maybe you should think to have another operating system.